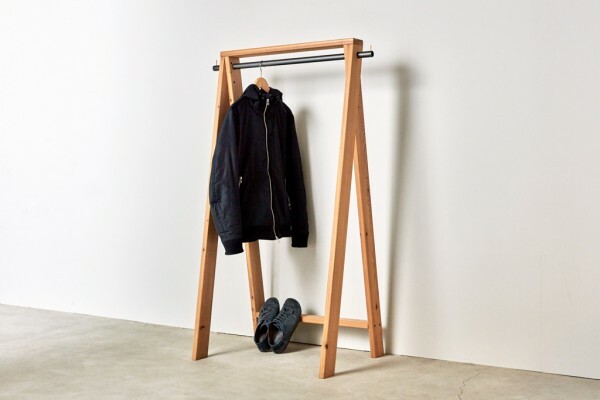 We designed a large hanger rack using 26×87mm deck boards as continuation of the AA Stool series. 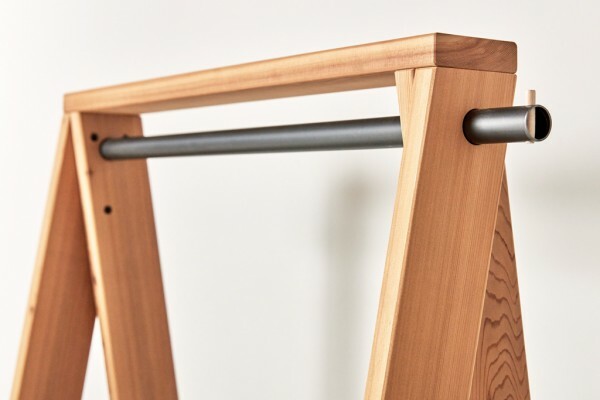 Bags can be hung from the protruding ends of the steel hanger pipe and the lower step can be used to display products, such as shoes, meaning that this piece of furniture can not only be used at home, but also in a commercial environment. 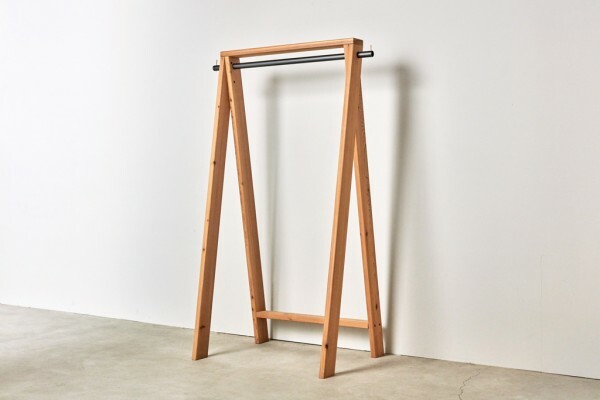 Also, several AA Hangers can be stacked horizontally to be stored in a compact manner by placing them in such a way that the back part of one hanger meets the front part of another hanger. By scaling up and adding details to it, we strived to develop a new apllication for the "AA" frame while preserving the continuity of the series.